Ideal for harsh or dirty environments, these tensioners require no lubricants, which can attract dirt and debris, and have no metal-to-metal connections, which can corrode. They contain elastomeric inserts that help absorb shock and vibration in the system. 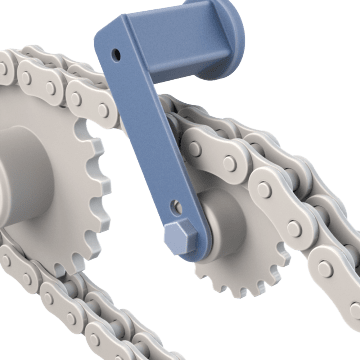 Tensioners help prevent belts and chains from slipping and breaking due to improper tension, extending the life of your belts and chains and avoiding damage to the drive system's components.